Power of Attorney favoring the legal representative duly executed. What are the conditions are given from BOI (normally) in case of an opening branch office in Bangladesh BUT it varies upon activities & types of the company? Bangladesh offers generous opportunities for investment under its liberalized Industrial Policy and export-oriented, private sector-led growth strategy. All but four sectors (i.e. (1) arms and ammunition and other defense equipment and machinery, (2) forest plantation and mechanized extraction within the bounds of reserved forests, (3) production of nuclear energy, and (4) security printing and mining) are open for private investment in Bangladesh. The government’s role is that of a facilitator which helps create an enabling environment for expanding private investment, both domestic and foreign. The Board of Investment (BOI), established by the government for accelerating private investment, provides institutional support services to intending investors. Industrial undertakings not enjoying tax holiday will enjoy accelerated depreciation allowance. Such allowance is available at the rate of 100 percent of the cost of the machinery or plant if the industrial undertaking is set up in the areas falling within the cities of Dhaka, Narayangonj, Chittagong and Khulna and areas within a radius of 10 miles from the municipal limits of those cities. If the industrial undertaking is set up elsewhere in the country, accelerated depreciation is allowed at the rate of 80 percent in the first year and 20 percent in the second year. Import duty, at the rate of 5% ad valorem, is payable on capital machinery and spares imported for initial installation or BMR/BMRE of the existing industries. The value of spare parts should not, however, exceed 10% of the total C & F value of the machinery. For 100% export oriented industries, no import duty is charged in case of capital machinery and spares. However, import duty @ 5% is secured in the form of bank guarantee or an indemnity bond will be returned after installation of the machinery. Value added Tax ( Vat) is not payable for imported capital machinery and spares. (a) For foreign direct investment, there is no limitation pertaining to foreign equity participation, i.e. 100 percent foreign equity is allowed. Non-resident institutional or individual investors can make portfolio investments in stock exchanges in Bangladesh. Foreign investors or companies may obtain full working loans from local banks. The terms of such loans will be determined on the basis of bank client relationship. (b) A foreign technician employed in foreign companies will not be subjected to personal tax up to 3 (three) years, and beyond that period his/ her personal income tax payment will be governed by the existence or non-existence of agreement on avoidance of double taxation with the country of citizenship. (c) Full repatriation of capital invested from foreign sources will be allowed. Similarly, profits and dividend accruing to foreign investment may be transferred in full. If foreign investors reinvest their repatriable dividends and or retained earnings, those will be treated as a new investment. Foreigners employed in Bangladesh are entitled to remit up to 50 percent of their salary and will enjoy facilities for full repatriation of their savings and retirement benefits. (d) Foreign entrepreneurs are, therefore, entitled to the same facilities as domestic entrepreneurs with respect to the tax holiday, payment of royalty, technical know-how fees etc. (e) The process of issuing work permits to foreign experts on the recommendation of investing in foreign companies or joint ventures will operate without any hindrance or restriction. Multiple entry visa” will be issued to prospective foreign investors for 3 years. In the case of experts,” multiple entry visa” will be issued for the whole tenure of their assignments. • Citizenship by investing a minimum of US $ 500,000 or by transferring US$ 1,000,000 to any recognized financial institution ( Non-repatriable ). • Special facilities and venture capital support will be provided to export-oriented industries under “Thrust sectors” Thrust Sectors include Agro-based industries, Artificial flower-making, Computer software and information technology, Electronics, Frozen food, Floriculture, Gift items, Infrastructure, Jute goods, Jewellery and diamond cutting and polishing, leather, Oil and gas, Sericulture and silk industry, Stuffed toys, Textiles, Tourism. Foreign Direct Investment in Bangladesh-FDI, Foreign Investment in Bangladesh, FDI in Bangladesh, Doing business in Bangladesh, Board of Investment in Bangladesh-BOI, Foreign Investment policy in Bangladesh, Foreign Invesment Guide Line in Bangladesh, Foreign Company Registration/ Incorporation/ Formation in Bangladesh, Foreign Branch office registration in Bangladesh. With the exception of a few reserved sectors, foreign investors are free to make investments in Bangladesh in industrial enterprise. An industrial entity may be set up in collaboration with local investors or may even be wholly owned by the foreign investors. No permission is needed to set up such enterprises if the entrepreneurs use their own funds. However, to avail of facilities and institutional suport provided by the government, entrepreneurs/sponsors are advised to apply for registration with the Board of Investment (BOI). For items in the control list, the office of the Chief Controller of Imports & Exports (CCI & E) prescribes the basis and conditions of import entitlement. Shares may be issued in favour of foreign investors against capital machinery brought into Bangladesh. For issuance of shares against foreign investment in the form of capital machinery, the exchange control copy of bill of entry evidencing clearance of the capital machinery from the Custom Authorities, copies of the relative import permit, invoice and bill of lading are required. a) Non-residents are free to invest in shares / securities quoted in the stock exchanges, with foreign exchange sent or brought into Bangladesh. b) They may also invest in new, yet-to-be-listed public issues of Bangladeshi shares/securities. In such cases investors are not required to transact through any registered broker/member of stock exchange. 5% shares of Initial Public Offering (IPO) of a company is reserved for Non-Resident Bangladeshi (NRB). Non-Resident Bangladeshi (NRB) can purchase/subscribe securities in foreign currency through “Foreign Currency Account for IPO” opened for the purpose only by the issuing company. Over subscription can be repatriated after completion of formalities. c) Permission of Bangladesh Bank is not required for issue and transfer of shares in favour of non-residents against their investments in joint ventures in Bangladesh. d) Non-resident share holders can freely transfer their shares to other non-residents. Branches of foreign firms/companies including foreign banks, insurance companies and financial institutions are free to remit their post-tax profits to their head offices through banks authorized to deal in foreign exchange (Authorized Dealers) without prior approval of Bangladesh Bank. – dividend and sale proceeds (including capital gains) of shares of companies listed in a Stock Exchange in Bangladesh. Such remittance may be effected prior to actual payment of taxes provided that the amount payable to the tax authorities at the applicable tax rate is withheld by the company. Remittance of sale proceeds of shares of companies not listed in Stock Exchange requires prior Bangladesh Bank permission, which is accorded for amounts not exceeding the net asset values of the shares. Expatriates working in Bangladesh with the approval of the Government may remit through an Authorized Dealer (AD) 50% of salary and 100% of leave salary as also actual savings and admissible pension benefits. No prior Bangladesh Bank approval is necessary for such remittances. Industrial enterprises may enter into agreements for payment of royalties, technical know-how/technical assistance fees abroad without prior permission if the total fees and other expenses connected with technology transfer do not exceed (a) 6% of the previous year’s sales of the enterprises as declared in their tax returns, or (b) 6% of the cost of imported machinery in the case of new projects. These agreements, however, need to be registered with the Board of Investment (BOI). Agreements not in conformity with these general guidelines require prior permission of the BOI. ADs may remit the royalties, technical know-how/technical assistance fees payable as per agreements registered with/approved by BOI, without prior approval of Bangladesh Bank. Industrial enterprises producing for the local market may remit through ADs up to 1% of their sales as declared in their previous year’s tax returns for the purpose of training and consultancy services without prior approval of Bangladesh Bank. Foreign shipping lines, airlines and courier service companies may send abroad, through an AD, funds collected in Bangladesh towards freight and passage, after adjustment of local costs and taxes, if any. Industrial enterprises in Bangladesh (local, foreign or joint venture) may borrow abroad with prior Board of Investment (BOI) approval. Remittances towards payment of interest and repayment of principal as per terms of BOI approved borrowing may be made through ADs without prior Bangladesh Bank approval. Banks in Bangladesh are free to grant local currency loans to joint venture industries in EPZ up to the amount of short term foreign currency loans obtained from abroad. Bangladesh Taka is fully convertible for settlements of trade related transactions. Import licence is not required for import of items not in the control list. An importer has automatic access to foreign exchange for import of all items outside the control list, and also for import of control list items as per general or specific authorization of the office of the Chief Controller of Imports and Exports. 5.1	New Exporters : Annual foreign exchange quota for business travel abroad for new exporters has been set at US $ 6000. Bonafide requirement beyond US $ 6000 is accommodated by Bangladesh Bank upon written request submitted with supporting documentation. 5.2	Retention Quota for merchandise exporters:Merchandise exporters may retain up to 50% of realised FOB value of their exports in foreign currency accounts in US$, Euro, Japanese Yen. For export items with high import contents (such as naptha, furnace oil, bitumen, readymade garments etc. ), the retention quota is 10%. The computer software and data entry/processing service exporters may also retain up to 50% of realised export proceeds in foreign currency accounts. Funds from these accounts may be used to meet bonafide business expenses, such as business visits abroad, participation in export fairs and seminars, import of raw materials, machineries and spares etc. Funds from these accounts may also be used to set up offices abroad without prior permission of Bangladesh Bank. Exporters may, at their option, retain the foreign currency in interest bearing renewable term deposit accounts in Bangladesh with a minimum amount of USD 2,000 or Pound Sterling 1,500 equivalent. 1. Why Foreign Investors is needed to deposit (USD) $ 50,000 ? Because this is rules of government , all foreign investors have to deposit the said amount for inward remittance, official expense & others. 2. Why encashment certificate is needed for foreign investors? Beasuse this is rules of government body to show as prove deposit amount to bank . 3. What is PI Visa? PI visa is for the investors visa will be given recommendation from BOI. 4. What is EI Visa ? EI Visa is for the foreign employees Visa is given recommendation from Board of Investment-BOI. Foreign Company Registration, Joint Venture, Branch Office, BOI permission, Work Permit, Visa, Factory set up, Legal, Tax, Office rent, so on. 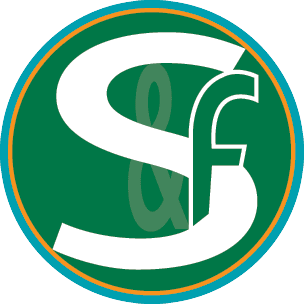 S & F CONSULTING FIRM LIMITED is an international business consultancy firm incorporated as private limited company in Bangladesh. Power of Attorney given in favour of The Law Assistant duly notarized and authenticated by the High Commission of Bangladesh in the country of origin.